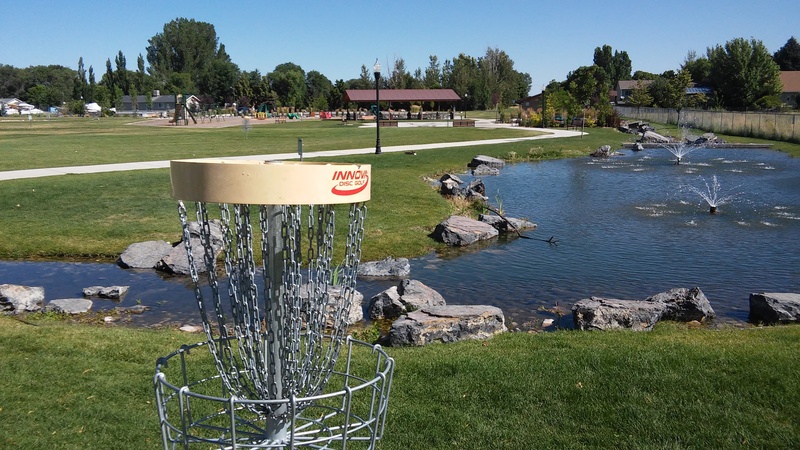 The Salt Hollow Park Disc Golf Course is a great beginner, practice, or ace run course. This course is set on a hillside in a peaceful park with a man made stream flowing through it. All of the holes are between 150 - 180 feet in distance. The elevation changes and potential out of bounds due to the river and pond make this a great place to practice your short game. Water, fences, and parking lots are out of bounds. Do not throw when other park participants may be in harms way. Currently, there is no Distance Driver.